NewsroomVITA – perfect match. 2018VITA ENAMIC® Load stability newly defined. "I take great care that I only send out the best quality, and my daily work ensures that the quality standards of VITA customers all over the world are met." The "good ones we keep, the bad ones we chuck" probably best describes this important quality process. 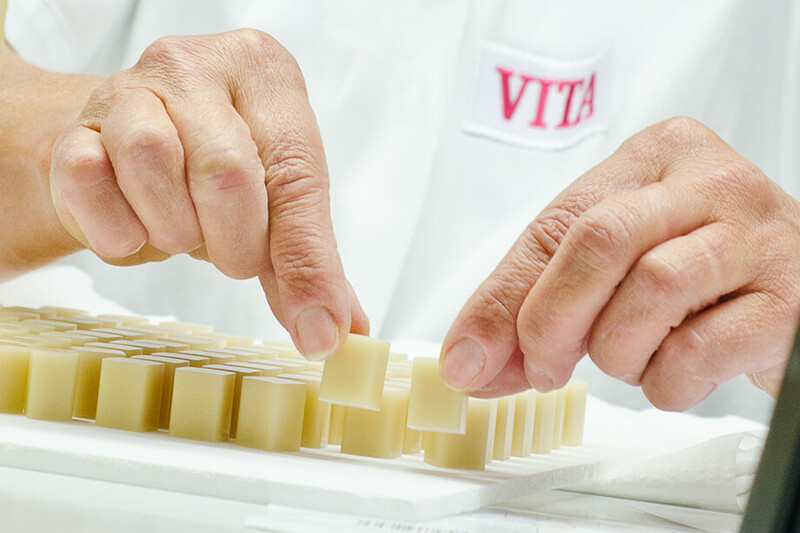 Before a CAD/CAM block can be finalized and packaged for the end user, it must first meet the high quality standards of VITA Zahnfabrik without compromise. For example, if the surface of VITA ENAMIC is only slightly mottled, a final surface finish must ensure that the block can pass quality control at the second attempt. At the inspection, nothing happens arbitrarily. Everything is done according to previously defined criteria: "I have to make a decision according to very clear specifications and patterns". Nothing escapes the quality review of the experienced, critical inspector. 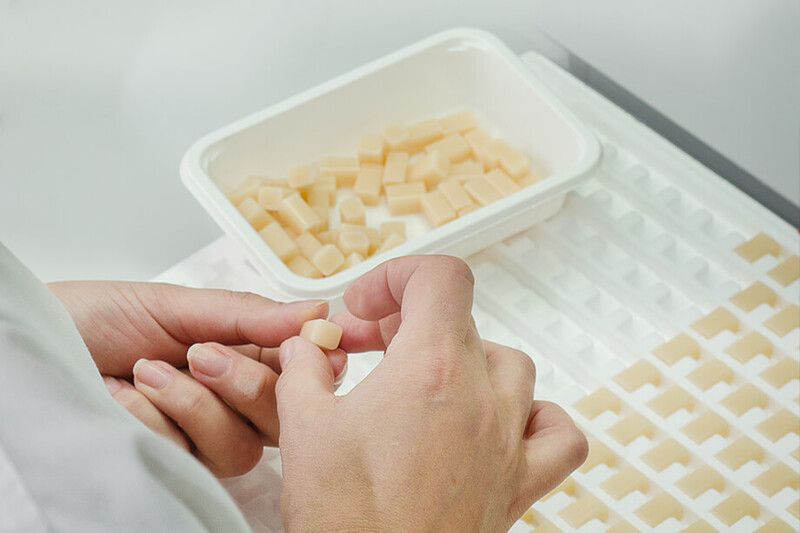 The block is meticulously turned and rotated in every direction during the test, so that dealers, and ultimately dental laboratories and dental practices, receive only the best VITA quality. After all, this is about the well-being of patients who trust in high-quality care. As a result, poor quality blocks do not pass inspection and are carefully sorted out. Even the tiniest flaw is sufficient to land the block in the corresponding discard hole. Only the best blocks are neatly sorted into trays at the end. There they will wait until they are printed in the final step and glued to the holder for the milling machine. Each block is inspected from all sides. The quality blocks arrive in the tray. Even the smallest flaw will cause a block to be discarded. which optimally absorbs the occlusal forces. 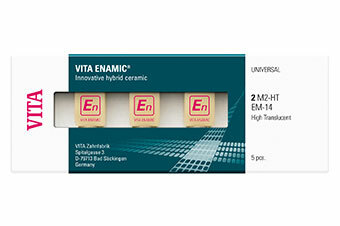 VITA ENAMIC is the fi rst hybrid dental ceramic in the world with a dual-network structure. In this dental material, the dominant ceramic network is reinforced by a polymer network, with both networks fully integrated with one another. 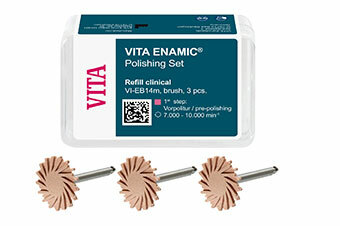 VITA ENAMIC is a dental hybrid material that combines the positive characteristics of a ceramic and a composite. 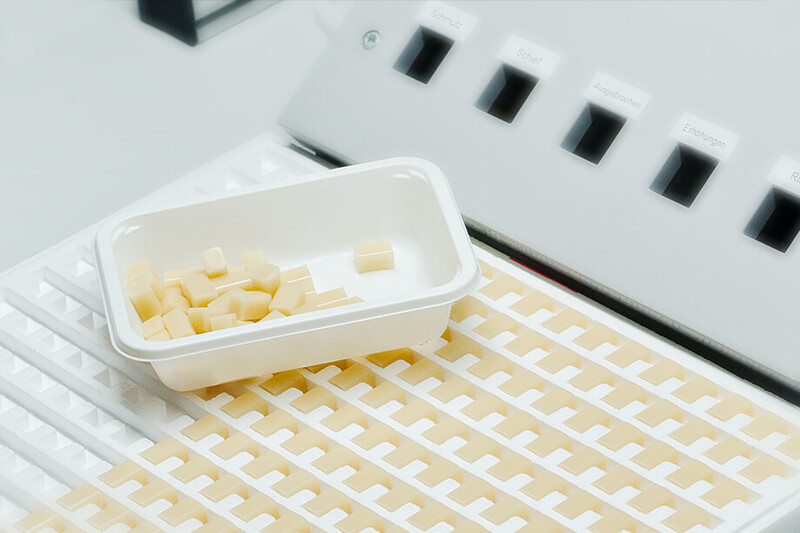 In addition to a high degree of elasticity, this innovative hybrid ceramic guarantees particularly high load capacity after adhesive bonding. As a result, this material is perfectly suited for posterior crown restorations and also enables the reduction of wall thicknesses for minimally invasive restorations. The superior reliability of VITA ENAMIC, as well as its precision, edge stability and corresponding milling accuracy, are also excellent features. Finally, this toothcolored hybrid material offers material properties that are almost identical to those of natural teeth, ensuring a natural play of colors, thanks to its excellent light conductivity. 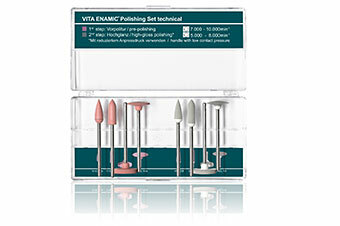 Range of indications: In addition to classic single tooth restorations (inlays, onlays, veneers and crowns), VITA ENAMIC is particularly suitable for restorations exposed to high masticatory forces (molar area) and minimally invasive restorations. 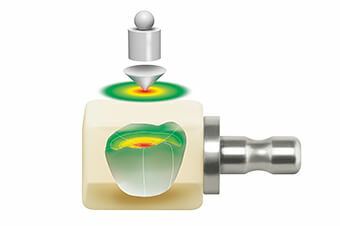 Enormous load capacity: Following bonding with the remaining tooth substance, VITA ENAMIC is immensely strong. This composite material guarantees excellent distribution of masticatory force while the polymer network offers outstanding absorption of intraoral load. 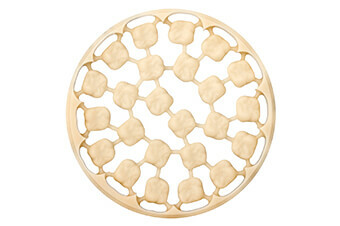 Excellent reliability: VITA ENAMIC is also a highly reliable material. 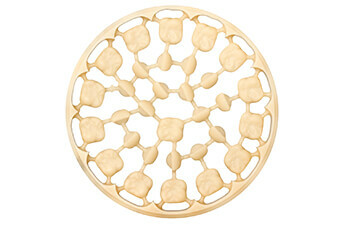 For example, this hybrid ceramic offers integrated crack-stop function thanks to its unique dualnetwork structure. 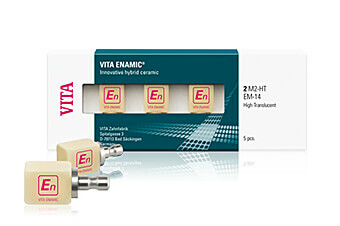 Restorations that are gentle on oral substance: In addition to high load capacity, VITA ENAMIC also guarantees the required elasticity, enabling minimally-invasive treatment so that healthy tooth substance can be retained by reducing the wall thickness. 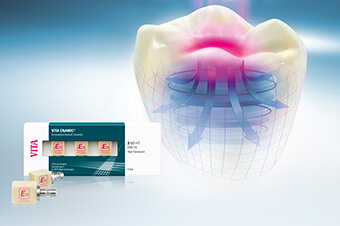 Precise and accurate restorations: Following the milling process, the VITA ENAMIC hybrid ceramic shows excellent edge stability – particularly in the case of thin restoration margins – and allows accurate morphology as well as an end result that offers a perfect fit. 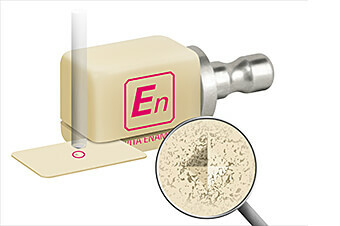 Fast and efficient fabrication: The excellent milling properties of VITA ENAMIC guarantee that restorations can be fabricated more quickly and wear and tear on milling tools is minimized. 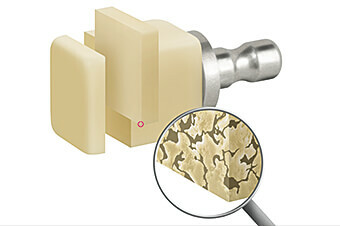 The hybrid ceramic is also already at full strength and can be inserted immediately after milling. 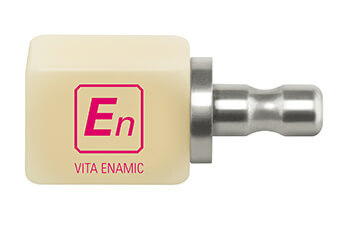 Natural results that match the tooth shade: VITA ENAMIC is a tooth-colored dental material that offers superb light refraction properties. This allows VITA ENAMIC restorations to blend in perfectly with the remaining tooth substance, providing a natural play of colors. T (Translucent), HT (High Translucent), ST (Super Translucent). *) The EM-10 geometry is only available in the HT translucency level! VITA ENAMIC is available in the translucency levels HT (High Translucent) and T (Translucent), in each case in the six VITA SYSTEM 3D-MASTER shades 0M1, 1M1, 1M2, 2M2, 3M2 and 4M2. Reproducing natural shades in a simple and fast manner.